Pick Analysis: Hood was a man among boys as a high school running back in Charlotte, running for over 3,000 yards in both his junior and senior seasons. He graduated early to join the Tar Heels for spring practice in 2014, which resulted in his being able to contribute in his freshman year (67-259, four TDs) despite missing four games due to injury. Healthy in 2015, Hood ran roughshod over ACC competition, garnering second-team all-conference honors by racking up 1,463 yards and scoring 17 times on just 219 carries. He started 11 games in his junior year, garnering third-team All-ACC recognition, even though his carries were down (145-858s, eight TD; 25-142 receiving) as he shared them with T.J. Logan. He also missed two games, including the Sun Bowl, due to undisclosed medical reasons. Originally, Hood planned on returning to Chapel Hill for his senior year, but he reversed course closer to the declaration deadline. Published: April 29, 2017 at 06:43 p.m. 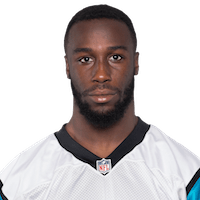 The Oakland Raiders select North Carolina running back Elijah Hood in Round 7 with the No. 242 overall pick in the 2017 NFL Draft.